This yarn is a perfect mixture of high quality baby alpaca and silk fibers! Malabrigo once again uses their divine ability to construct colorways that are truly unique and breathtakingly beautiful, resulting in a lace weight masterpiece! 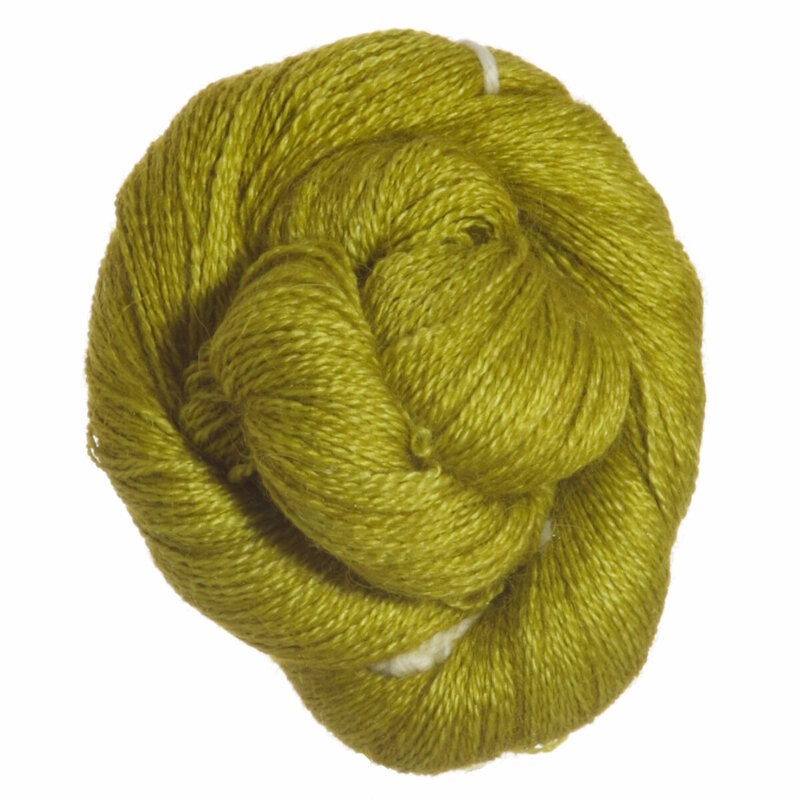 PLEASE NOTE: This yarn is dyed in dye lots of five skeins only. We are happy to visually match hanks for consistency should you need more than 5 skeins for a project, but we are unable to get more than 5 skeins per dye lot. Cascade Alpaca Lace Yarn is a similar yarn: alpaca, hand wash, lace (33 sts or more/4 in), and 50 gram. You may also like Shibui Knits Lunar Yarn, which is another similar yarn: hand wash, lace (33 sts or more/4 in), 50 gram. What about yarn that have the same look and feel? Find more yarn with a smooth / uniform texture, a low (drapey) twist, and is kettle dyed. You may enjoy taking a look at the Malabrigo Baby Silkpaca Lace Turquoise Trail Shawl, Malabrigo Baby Silkpaca Lace White Queen Stole, Malabrigo Baby Silkpaca Lace Nereid Shawl, and Cosmicpluto Ashworth Scarf kits all using Malabrigo Silkpaca Yarn. Hopefully our suggested project ideas for Malabrigo Silkpaca Yarn can help you come up with your next exciting new project idea!